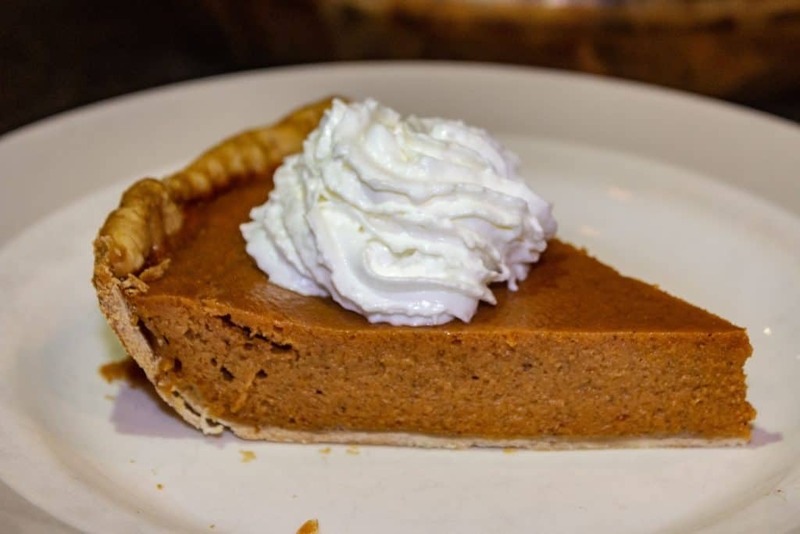 I know that you know, Pumpkin Pie is a dessert staple during the holidays. 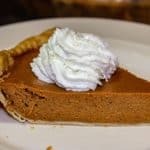 Pumpkin Pie is easy to make, and if your house is anything like my house, you might be twiddling your thumbs while Mom/Grandma/Aunt’s are frantically cooking all the things. I’m not one to protest when they want to cook, but if you want to take a little bit off their plate this holiday season, consider firing up your smoker, and cooking a few Pumpkin Pies. 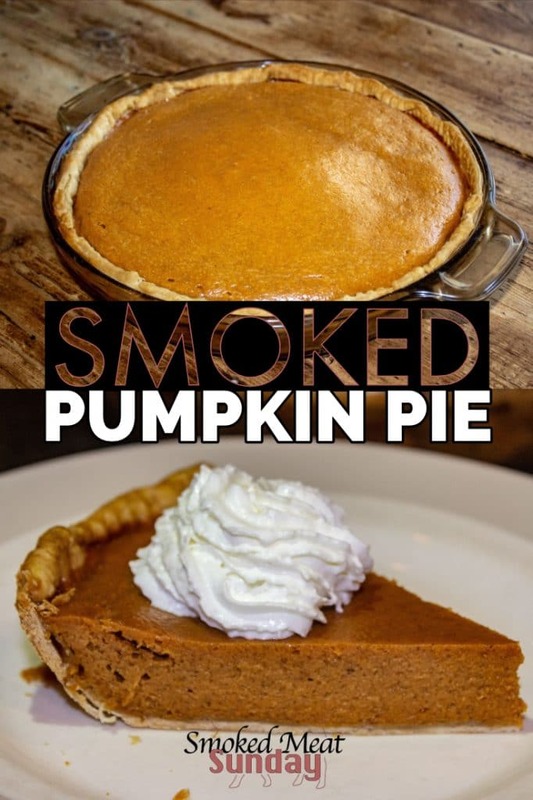 Making smoked pumpkin pie is really simple. You only need a few ingredients to make smoked pumpkin pie. Pumpkin pie filling – sweetened condensed milk – sugar – vanilla – cinnamon – ginger – salt – and whipped cream! 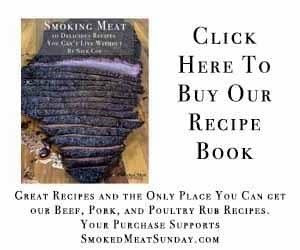 Looking for something other than turkey for the holidays? 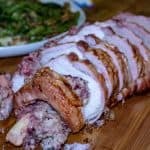 This stuffed pork loin recipe is the answer! Once you have everything you need, it should only take about ten minutes to get the pie ready to be cooked on your smoker. Get your grill set up to cook at 400 degrees. Place your pie crust in a 9″ pie dish, and place in your smoker for ten minutes. While the pie crust is cooking combine the pie filling ingredients. After the pie crust has cooked for ten minutes remove it from the smoker, and pour the filling into the crust. 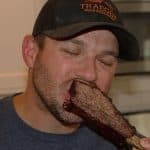 Bring your temperature down in the smoker to 350 degrees, and return the pie to the smoker. Cook the pie for 50 minutes and then get ready to indulge in the best pumpkin pie you’ve ever had. You can drizzle the top with chocolate, or caramel, or serve with some whipped cream. Either way, it will be delicious! If you’re making the smoked pumpkin pie ahead of time, allow it to cool to room temperature, and then cover and refrigerate. You can serve slices of pie cold, or warm up individual slices in the microwave. I love making desserts on my smoker! What are some other holiday desserts that you love? Do you make pumpkin pie a different way? Let me know in the comments. Desserts are a major food group during the holidays. 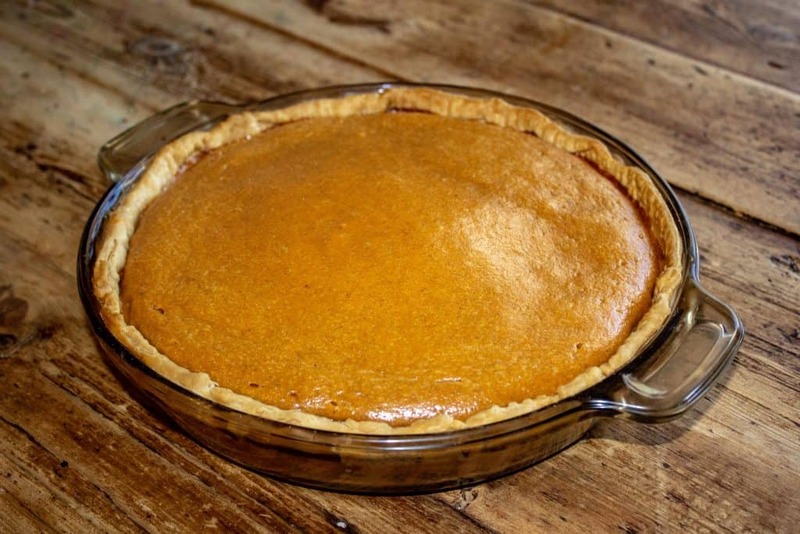 I love the extra layer of flavor the smoke adds to this smoked pumpkin pie. It's easy to make, and your friends and family will love it! 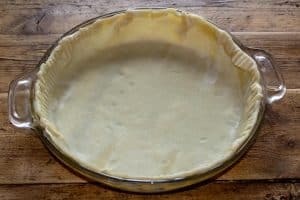 Place your pie crust in a 9" pie dish, and place in your smoker for ten minutes. Cook the pie for 50 minutes and then get ready to indulge in the best pumpkin pie you've ever had.